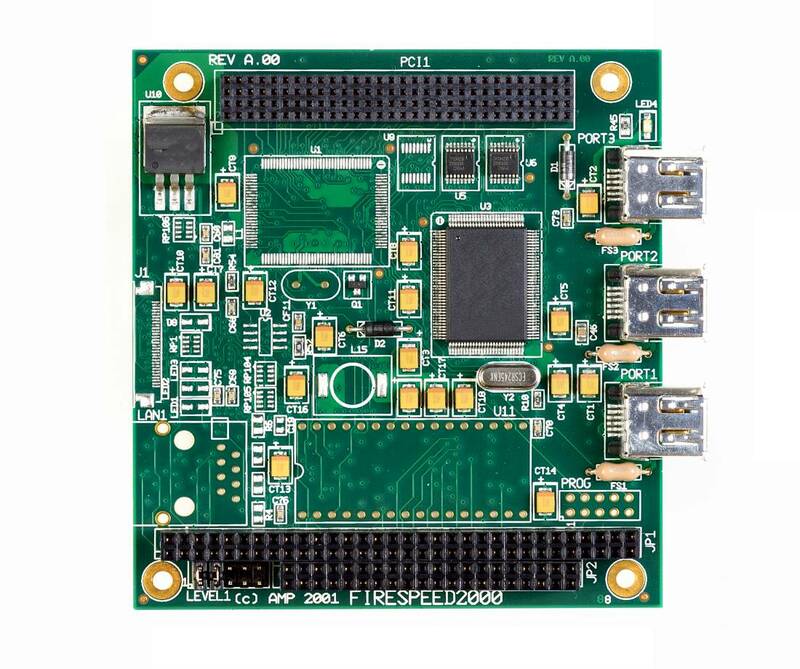 The FireSpeed2000 is a high-performance controller providing 3 serial ports conforming to the IEEE-1394 / 1394a OHCI specification – popularly known as FireWire. The FireSpeed2000 provides an ideal interface for attaching high-speed video, audio and storage peripherals to an embedded system. Automatic detection and configuration of devices (without the need for on-board jumpers) ensures robust system operations and high reliability. The FireSpeed2000 provides a distinct advantage over other communications and interfacing controllers by allowing multiple devices to be attached simultaneously on the high serial bus. Three serial ports are provided enabling up to 63 devices to be connected with cable lengths of over 4m. The FireSpeed2000 is supported by a suite of drivers for Windows and Linux. The FireSpeed2000 is an ideal solution for solid-state video recording, machine vision, digital image capture and processing and hot-pluggable storage peripheral interfacing.